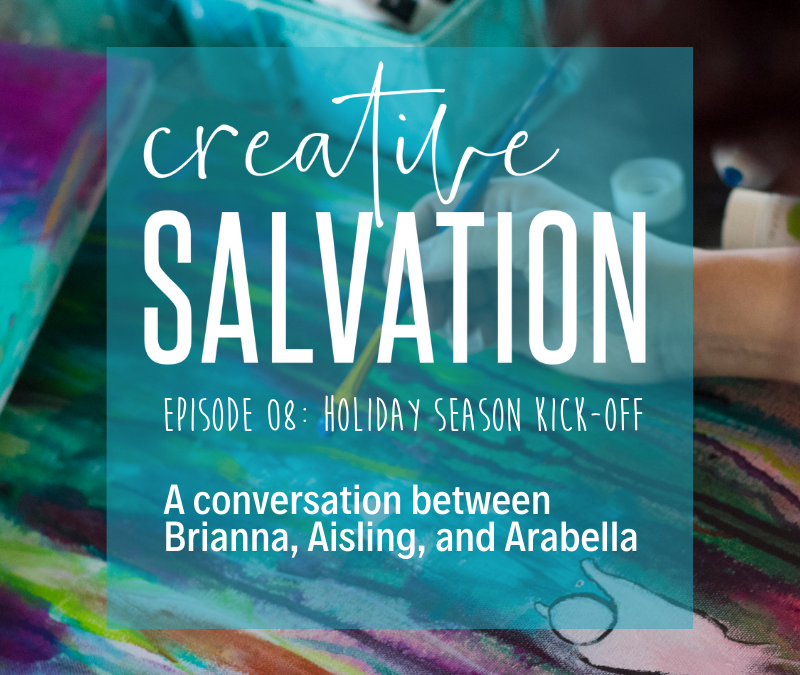 Creative Salvation: Holiday Season Kick-Off! | Painted Prayers, Inc. This week, Aisling and Arabella join me to kick off the holiday season! We chat about all of our favorite things about the holidays, and let you in on some of the funny memories we have from holidays past. The first take of this recording did NOT record, so this is actually take two. And there were some audio gremlins attacking, so the sound gets a little wonky, mostly at the beginning, but I promise it’s worth pushing through to the good stuff! We’ve got some great advice for keeping the focus on what matters most this year. My girls are pretty smart. Give it a listen, and we would LOVE to hear your feedback on it! What other conversations do you want to hear? Who else needs to be part of these conversations? What topics should we tackle? And of course, everything we do here at Painted Prayers depends on the support of folks just like you. If you’d like to keep our programming going, consider making a contribution on our website.